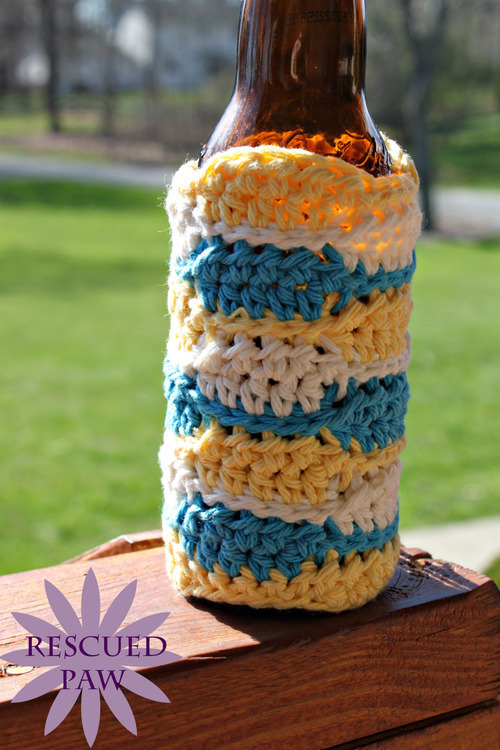 I have been psyched for a few days to share this with you all so here it is.. A fun spring crochet beverage cozy pattern!! 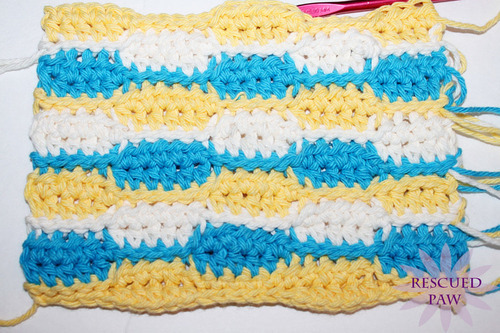 This pattern works together quickly and is so easy!! 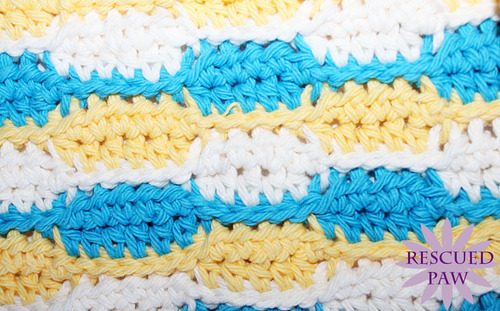 The only stitches you need to know are slip stitches and half double crochets!! – I used Lily’s sugar ’n cream in hot blue, yellow and cream. to weave in loose ends and to sew together the sides. ROW 1- Slip Stitch in 2nd chain from hook and in next 4 chains, Half Double Crochet in each of the next 5 chains, Slip Stitch in each of next 5 chains across Repeat pattern until the end of row, turn!! ROW 3- Chain 1, Half Double Crochet in each of the first 5 stitches, Slip stitch in the next 5 stitches, repeat this till then end of row, turn!!! ROW 5- Chain 1, Slip Stitch in next 5 stitches, Half Double Crochet in each of next 5 stitches, Slip Stitch in next 5 stitches across, Repeat till end, turn!! REPEAT until you reach 20 rows!!! If you love this pattern, I am always pinning crochet projects and tutorials from the internet. Check me out on Pinterest by following my boards here! If you have any questions about this crochet beverage crochet pattern, please feel free to ask!